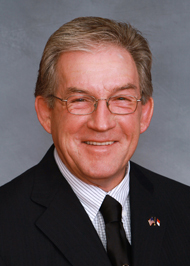 State Senator Don East is mounting a strong last minute rush in his campaign to be named Top Heartless Blowhard of the 2012 Legislative Session. As the Mount Airy News reports, East is unrepentant about helping to torpedo compensation for eugenics victims. “It doesn’t change anything — if they’re sterile, they’re still sterile,” said the Republican who represents Surry, Stokes, Yadkin and Alleghany counties in the Legislature. The non-profit tax status of Progressive Pulse and NC Policy must be revoked. Both operate as the arm of the Democrat Party of NC. Count the stories/posts over the last two years. How many favor Republicans and how many favor Democrats? I think the percentage would be 99% to 1% , if that. You are just like the SuperPacs, you seek to deceive. Explain to me how a group could advocate good government and ignore the scandal with the DOT/governor’s office? There is a clear violation of the status of non-profit at the expense of taxpayers. @Frances, hahahahahahahahahaha! Funny you should use 99% to the 1%. Very telling. The non-profit status of your church should be revoked. By the way frances, three low level DOT employees taking kick backs from a contractor picking up debris left over from a hurricane is hardly a scandal involving the Governor, and those guys are going to jail.